Pest control software is used in public spaces and agriculture, residential, and commercial buildings to protect people and the environment from organisms that may cause nuisance and epidemies. Pest control software helps exterminators collect and analyze pest data and recommend appropriate solutions. By using pest control software, companies ensure the safety and wellbeing of their customers while also ensuring the safety of their employees. Pest control software can also help with preventive pest control. When not included in the pest control software, integration with accounting and billing software is required to process invoices and payments. Pest Control reviews by real, verified users. Find unbiased ratings on user satisfaction, features, and price based on the most reviews available anywhere. PestPac by WorkWave is the proven, complete solution for pest control companies of any size. Everything you need to manage and grow your Pest Control business in one login. Let us help you reduce paperwork, increase efficiency, generate more leads, close more sales. PestPac is the industry leading software program with thousands of customers and over 30 years of expertise in developing solutions specifically built for pest control professionals. ServSuite is a pest control, lawn care, and arbor care business management software. It’s built to help you run and grow your business, regardless of whether it’s based in a single or multiple world-wide branches. ServSuite is web-based, and multi-browser compatible. With ServSuite, you get core functionality such as Billing, Invoicing, Inventory, Credit Card Payments, Routing, Scheduling, and many more, but at the same time you get the opportunity to go paperless with the ServSuite Mobile App and get more tasks finished while you’re out in the field. You also get a chance to enjoy many of our office automation features, such as Print to Mail, Notifications, as well as our innovative solutions and modules: GPS Vehicle Tracking, ServSensor, ServSales, etc. 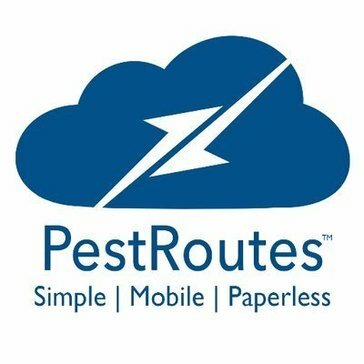 PestRoutes is a powerful Pest Control Software that provides automatic Service Reminder Calls, SMS, and Email and mobile Apps which eliminates paper work and data entry. Briostack offers pest control software designed to automate pest control businesses. Pocomos is an end-to-end software that handles everything from D2D sales to routing, scheduling, invoicing, payments, and reminders all in one place. Flexible software allows your company to become an unstoppable titan of efficiency. Create E-contracts in the field, take payment on any mobile device, and complete work orders on the go. Get what you want for one flat fee. Increase sales with robust salestracking tools. Increase operating efficiency with our powerful report suite. Route your stops effectively with our Google Maps Integration. Pest control software redefined by Pocomos. A complete software solution for the Pest Control industry, built on the Salesforce.com platform With fully integrated Sales and CRM, Contract Management, Workforce Scheduling, Asset Management and Billing, we take care of your entire Sales and Operational back office systems. But that's just the start of it... ServiceTracker embraces the very latest cloud technologies and is a complete cross-platform solution to transform how you manage your business. We partner with our customers to produce extraordinary and revolutionary results. SPCS is a valuable tool that will automate many of the time consuming tasks involved in managing a pest control operation. Scheduling, invoicing, managing routes and customer information is easy with SPCS. Beevio is a termite and pest control software application designed specifically for California pest control professionals. Bugbase is a termite and pest control software. Cerber is a tool designed for pest control providers. Compu-Pest is a pest control software. One of the greatest benefits of using GorillaDesk is the overall simplicity of the application. GorillaDesk works hard to create a program which is easy to understand and straight to the point. Pest-App is a web-based suite of aids such as a report writer, scheduler, etc, to optimise efficiency & profitability of pest control business. Designed exclusively for the Pest Control industry with no data limits! So bring on the customers, technicians Its also built with FileMaker Pro, so it can handle any combination of Windows and Mac in the office. PestFocus Pro is a pest control Ssoftware for small business. PestScan is a fully featured software application for pest controllers.PestScan helps you to quickly enter your data during your surveys where this data is processed automatically and your customers can view the online logbook minutes after your visit. PestMac is a Pest Control Business Process Management Solution which helps you to automate your day to day business processes efficiently. ProServe 2012 pest control software is designed to help any pest control service company manage the routing, scheduling and billing of recurring services, this includes termite inspection services. It covers the entire spectrum from monthly pest control service to termite renewals, with an easy to use Windows base interface. ProWDO is designed to be able to easily produce and print structural pest control wood destroying pests and organisms inspection reports based on the forms and formats required by the state of California Structural Pest Control Board. The heart of SmartPest is Billing and Contacts. Billing & Contacts allows you to view the service history for each prospect, client or vendor. TekSked is a mobile friendly, integrated Field Service Management Software solution for the Pest Control Industry. TekSked Pest Control software combines the power of Microsoft Dynamics NAV business management software with software developed to meet the needs and requirements of the Pest Control industry. WDI FX is the industry's first pest management system designed from the ground up to allow PCOs to operate in a paperless environment. Why Use Pest Control Software? Who Uses Pest Control Software? A pest control company has many different considerations when servicing their clients. The office must schedule appointments and direct field workers, while field workers must assess each case and determine the best solution for each individual customer. Pest control software can aid with invoicing, scheduling technicians, creating an inspection report, workforce tracking, and more. Pest control management software is intended to be an end-to-end solution for pest control businesses and those in the pest control industry, helping with day-to-day operations for both the back office and field service agents. One of the most important aspects of pest control business software is the ability to submit work orders and make appointments for field technicians to perform the requested service. Some software solutions come with a mobile app that allows pest control technicians to create an invoice, write reports, request materials, track the time of each job, and even research the best pest management methods all while onsite. Some may even have in-house training features to keep technicians on top of the the latest techniques. Many pest control companies likely have some kind of pest control scheduling software, a workforce tracker, a means of creating service contracts, and some kind of customer service tool. However, while these are all crucial to operating a pest control business, it is much easier and less expensive to use a software solution that accomplishes all of these things and more. Pest control software is designed to help manage every aspect of your business, allowing users to spend more time hard at work helping customers manage their pest problems. Anyone who works in general pest control can benefit from using pest control software. Those in the back office will utilize the scheduling, invoicing, accounting, and field technician management features to interface with customers and to ensure each pest control job is completed on time. Field technicians may be able to use the software on a mobile device while they are in the field to document the pest problem, request materials, schedule follow-up appointments, generate a pest control invoice, and research best practices. Some solutions may even have a client portal where customers can make payments, schedule visits, and interact with employees if there is a customer service issue. Scheduling – For any business that offers a service that requires visiting the home of a customer, scheduling is extremely important. The business must know its availability to perform any given service and where its technicians are at any given time. Scheduling features help pest control businesses know where their technicians are at any moment and when they are available to help another customer. Some services, such as fumigation, can take several days to complete, so the office must be able to schedule appointments around such services, while ensuring the customer in question is not displaced longer than necessary. Workforce tracking – Similar to scheduling software, workforce tracking software allows a business to know which of their field technicians are available and where they are working at any given moment. This is helpful when customers need to reschedule or a technician is running late, because the office can quickly and easily redirect technicians or update customers when there is a delay. For pest control businesses this can be crucial, since some jobs may require multiple technicians and take several days to complete. Knowing how many technicians are free for consultations allows the business to reach more clients. Some workforce tracking features include route planning, which ensures technicians reach as many customers as possible as efficiently as possible. Inventory management – Pest control businesses utilize a variety of chemicals and other tools to perform basic services, so it’s important to accurately keep track of available inventory. Many pest control software solutions will contain some form of inventory management, so field technicians are always able to perform necessary services. Some pest control solutions will allow field technicians to put in a request for the required chemicals or tools, which enables the office to better track their inventory needs and stay ahead of their usage. Inventory management may also extend to available vehicles (since all that equipment needs to get from point A to point B) and the inventory within each vehicle. Knowledge source – Pest control is not always an exact science. Certainly there are tried and true methods, but field technicians must also consider that many of these methods are toxic or may structurally damage a customer’s home. Some pest control software includes the ability to create a knowledge source where technicians can look up the best and least invasive method for, say, termite control. The ability to do this onsite is especially helpful, since every job is different and will require slightly different work and a nonspecific amount of time. Customers can benefit from this practice, since it means more accurate estimates delivered more quickly. Invoicing – Any service-based business needs to be able to create, send, and organize invoices quickly and easily. Many pest control software solutions contain invoicing features that make it easy to create and send invoices for the work that has either been contracted or completed. With a mobile app, technicians can create an invoice onsite and send it to both the main office and the customer. Some pest control software includes accounting features, so the invoice can automatically be dealt with accordingly. The more efficient the invoicing process, the easier it is to ensure a cash flow. Easy collaboration between field technicians and the main office can eliminate headaches for everyone involved. Documentation – Pest control involves many different forms of documentation. From contracts and invoices to reports and photographic documentation, pest control software tools can streamline many of these processes. Mobile apps especially give field technicians the power to create documents and share information with both the main office and other technicians. Much like a CPQ tool, pest control software may be able to create, send, and approve contracts, making it much easier for both customers and the main office. Reports need to be accurate and organized, which is much easier when reports can be made using a mobile app onsite. Eliminating paper forms makes it much easier for field technicians to remain organized and spend more time performing actual pest control. Cloud-based software — Today, most software is hosted in the cloud and easily accessible on any browser. Pest control software is no exception. With cloud-based pest control software, users can easily access features on the go, which is especially useful for field technicians. For those in the main office, cloud software requires no installation and can be easily accessed by multiple users. Cloud-based apps are also accessible on mobile devices, which is ideal for any industry that relies on field work. Regular inspections — With pest control software it is easy to set up regular inspections that occur at a set interval. For commercial customers (such as restaurants), this can be extremely convenient as it eliminates the possibility of a pest problem becoming large enough to warrant closing the business for a large-scale service such as fumigation. For a pest control company, this means steady business that can be easily achieved with scheduling features. CRM all-in-one — Pest control businesses can benefit greatly from marketing and other customer-focused tools. Attracting new customers, maintaining current customers, and reaching out to former customers are all important for any business, but especially service-based industries such as pest control. Some pest control solutions may have basic marketing or CRM features, but a CRM all-in-one tool is dedicated specifically to managing customer relationships in a self-contained environment ideal for small businesses. Social media management — Marketing can be a large concern for any business, and especially so for service-based businesses. If people have a problem, it’s important for them to know that your business can solve it. Marketing tools such as social media management software allow businesses to create and maintain a digital marketing presence relatively easily and at a much lower cost than if they were to use traditional marketing avenues. Social media presence allows businesses to stay in constant contact with customers, and sometimes book services online. Businesses can also use social media advertising software to ensure that the business is reaching social media users through ads. Hi there! Can I help you find the best Pest Control solutions?